Over the weekend, a video surfaced of The Lord of the Rings Online’s Community Manager, Jerry “Cordovan” Snook, making some emphatic statements regarding the state of Turbine’s licensing agreement to continue producing LOTRO past 2017. It’s a question that comes up frequently, and one that Turbine has not, to my knowledge, given any direct, official answer to. As Cordovan explained — and I’m working from memory and slightly paraphrasing here — with any licensing agreement, sometimes both parties look over how things are going. If everything’s fine, they continue. That’s clearly how Cordovan meant to characterize the relationship between Turbine and the Saul Zaentz Company/Middle-earth Enterprises, which holds the merchandising rights to The Lord of the Rings. I’ve worked with licensed properties as well, and while Cordovan is broadly correct in his description, there’s a little more to it than that. Such agreements usually apply for a certain length of time — until some point in 2017, as assumed for LOTRO — and if both parties agree to continue the agreement, the contract is extended for a further length of time, until some agreed-upon, and spelled-out-in-a-contract future date. If Turbine’s expiring-in-2017 contract was renewed, it would be set to expire at a future date, which Turbine is certainly under no obligation to tell anyone. Cordovan said that he’d “had to answer this five times in the last month” and that he wanted to “settle the matter once and for all” — again, I’m paraphrasing. Still, the fact that the video has been removed, and that there’s still been no official, formal announcement from Turbine on an extremely important question, still leads me to think matters haven’t been fully resolved yet. They might be, and LOTRO could go on for another 10 years, but it’s probably not the sort of thing that Turbine wants its employees making semi-guarantees about until everything’s been signed on all the appropriate dotted lines. 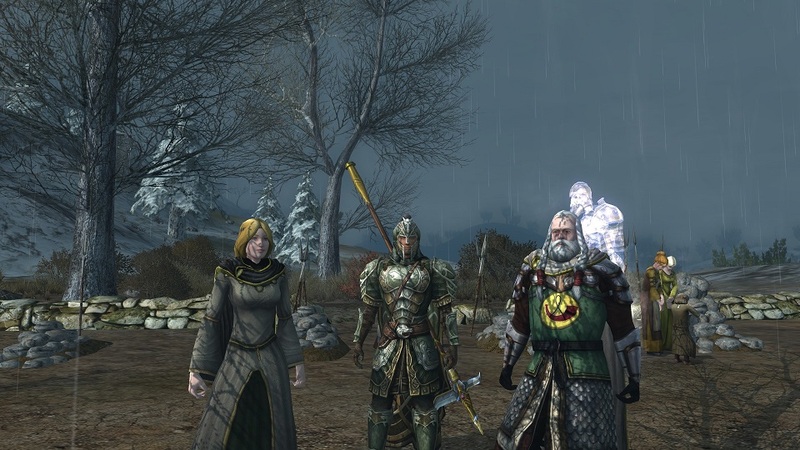 Honestly, ive played the hell out of LOTRO and WOW and its very hard to accept, however every game eventually comes to an end. Evidently it won’t last till 2017.
ffs just make a new lotro !!! its looks even more outdated than wow ! i would gladly pay for a lotr mmo that is up to date !!! Hmm….not good idea to support that game. It too quiet now.